Of Echo Canyon Richard Burton wrote, "An American artist might extract from the scenery as Church Butte and Echo Canyon, a system of architecture as original and national as Egypt ever borrowed from her sandstone ledges, or the North of Europe from the solemn depths of her fir-forests." 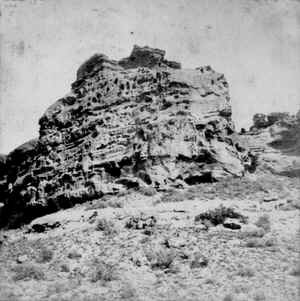 A. J. Russell photographed this formation in 1868. 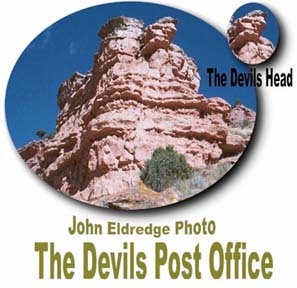 The caption reads Devil's Post Office, Echo Canyon.